Multi-Media Filters (MMF) are an efficient, economical method for removing suspended solids from a waste stream. In low TSS streams, they can be used for primary treatment. They are an excellent method of secondary treatment after a primary treatment such as an inclined plate clarifier. The incoming waste stream enters the top of the filter vessels. As the wastewater travels downward through the filter media, the solids become trapped in the media bed while the water passes through. 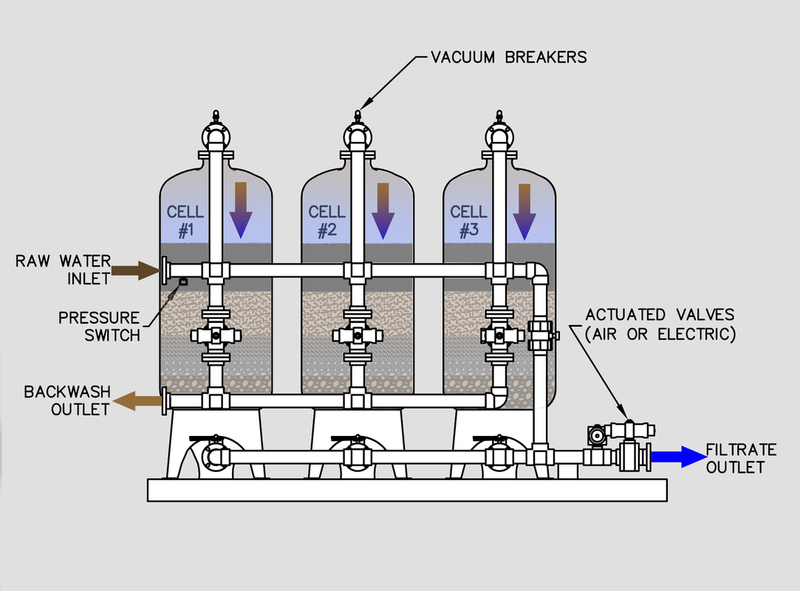 The clean effluent exits through an outlet header for further treatment or discharge. As the solids build on the media, the pressure inside the filter builds. At a certain pressure, the media has reached a loading capacity and needs to be backwashed. The backwash mode reverses the flow of the water through one filter at a time. 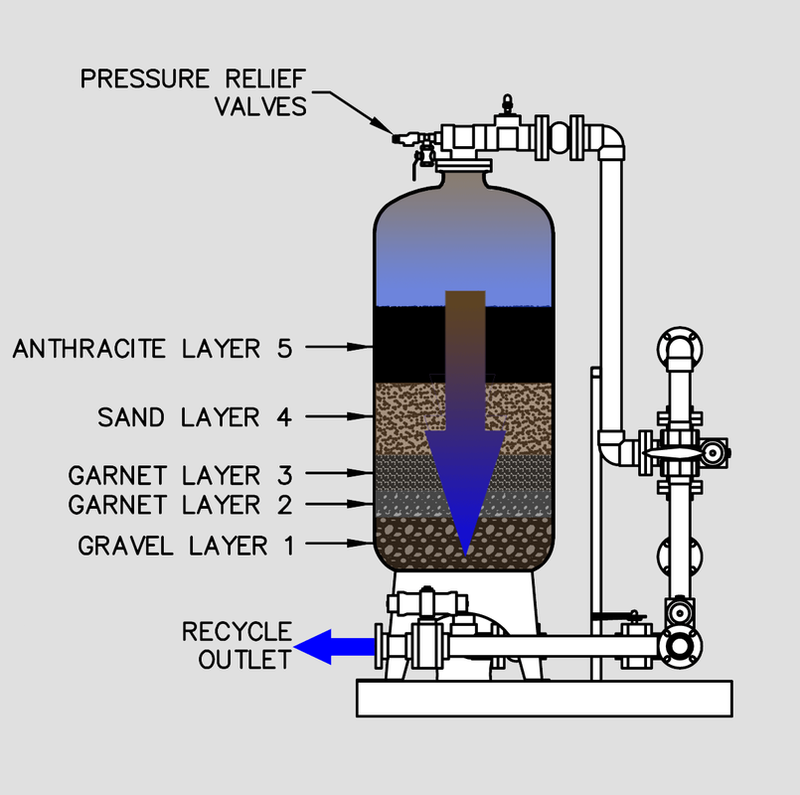 The water enters the bottom of the vessel which expands the filter media and releases the captured solids. Once all the vessels are backwashed, the filters return back to original filtration capacity.